Announcement We've added vinyl to our shop in 2019! Check out our projects using high quality permanent and heat transfer vinyl! We've added vinyl to our shop in 2019! Check out our projects using high quality permanent and heat transfer vinyl! We're so sorry to read your 1 star review. The initial order was placed incorrectly and as a courtesy and gesture we honored the discount for your order. The customization options were then changed multiple times and it became apparent our shop would not be able to accommodate all your specific requests. We want all of our finished products to exceed our customers expectations. Because of that, a full refund was issued and the order was cancelled so that you could find another shop that would be able to better accommodate your specific requests. Thank you. Ordered 3 embroidered burp cloths and I absolutely love them!! Great quality product. Seller responded very quickly and went above and beyond for custom order requests! Definitely will be ordering more! As Southern As Sweet Tea! We live in the south and as anyone from down here knows ... we LOVE to monogram! I love a personalized item! I don't know many who don't. I started Sweet Southern Stitches as a way to offer my friends and family boutique quality, personalized items without the boutique price tags. The more I stitched, the more I loved it -- so, now I'm offering YOU those boutique items, too! Our items are handmade with quality and care. We buy from reputable suppliers and purchase boutique quality blanks for our projects. And the best part?! We can customize something completely unique for you! Love the design but hate the color? No worries - we can do whatever color you'd like! 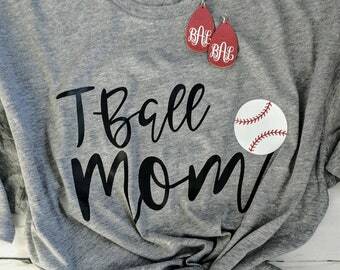 Saw a phrase that you'd love to see on a shirt for your little one? Message us!! We can do that for you, too! Sweet Southern Stitches truly is the best online monogram and embroidery boutique out there! Hi! I'm Krystle and I'm the owner and stitcher at Sweet Southern Stitches. I'm a southerner and I LOVE anything that is personalized! I also love pizza, summer, and our sweet little girls, Avery & Charlotte. Thanks for stopping by!